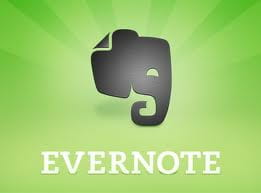 Evernote is a cross-platform application to store and share all types of content (text, image, sound, video, web page). With Evernote you can easily store and manage your images and create libraries, thanks to its advanced sorting, naming and archiving features. So, how to use Evernote in this context? Save visual content online: Create a backup of your documents (server, hard drive). Access your images from multiple devices: PC (web interface, desktop client) or via mobile applications. Collaborative work: photos can be modified by any authorized users. Archive and store your images in thematic folders (assign different keywords). To gain access to this service, you will need to create an account:https://evernote.com/. How to store photos on Evernote? A pile is a directory containing with several notebooks (folders). To create a pile: drag a notebook to another one, the "Create a new pile" menu shall appear. A notebook is a folder where the photos are classified. A note refers to a content that must be store and archived. A label (tag): This is the minimum unit of classification. How to upload your images? To upload multiple images to your online space, it is necessary to place them the Evernote sync folder. To import a single photo online: drag/drop in the note editor. The search engine: it allows to make search by keywords and apply different search criteria/filters. The sidebar (on the left): it allows you to discover and navigate through your stored content. Note list : This list shows all entries made on Evernote, from the most recent update to the oldest. Define a hierarchy to store photos to avoid duplicate content: Piles, notebooks, notes. Identification or usage rights can be added via tags: Copyright, Picture type ( graphic , photo, logo)..
download limitation 60MB per month. the maximum size of each note is 50MB and can download up to 1GB of new content each month. download limitation 1 GB per month. Published by deri58. Latest update on December 11, 2013 at 06:58 AM by deri58. This document, titled "Store and manage your photos with Evernote," is available under the Creative Commons license. Any copy, reuse, or modification of the content should be sufficiently credited to CCM (https://ccm.net/).